Blog posted by: Identity Standards and Fraud Team at GDS, 17 April 2019 – Categories: GOV.UK Verify and identity assurance. 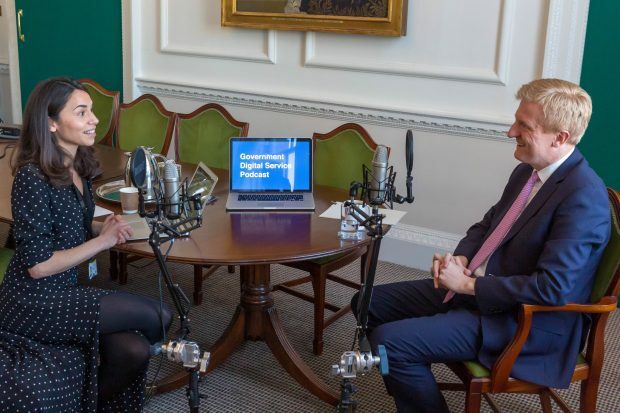 Podcast: How has digital changed public sector organisations? Blog posted by: GDS team, 28 March 2019 – Categories: Podcast, Transformation. Blog posted by: Ben Carpenter, Inclusive services lead, 26 March 2019 – Categories: Service design, Transformation. Blog posted by: Kevin Cunnington – GDS director general, 22 March 2019 – Categories: Sprint 19. Blog posted by: Lisa Barrett, 25 March 2019 – Categories: GOV.UK Verify and identity assurance. Sprint is GDS’s flagship event. It brings together people working across government to learn more about how digital transformation is improving people's lives. Blog posted by: Chantal Donaldson-Foyer and Thomas Hall, 19 March 2019 – Categories: Global Digital Marketplace, Ways of working. Blog posted by: Katherine Stevens – Senior developer and Ciara Davey – Senior user researcher, 8 March 2019 – Categories: GDS team, People and skills. Blog posted by: Kevin Cunnington – GDS director general, 20 February 2019 – Categories: People and skills.